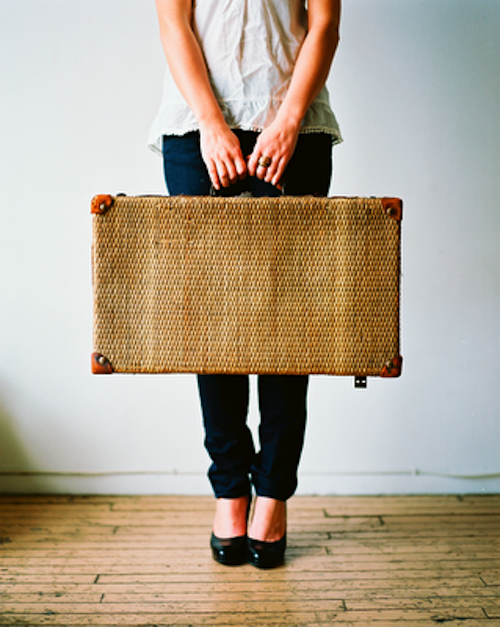 For The Love Of... | One girl's love affair with all things wonderful. I’m sure you all saw my post on Saturday, detailing the news about my blog redesign and move to a new URL. It’s all very exciting – what’s not exciting is that my growing list of wonderful email subscribers and WordPress followers does not get to automatically make the move with me. I absolutely love, love, LOVE having each and every one of you as readers on my blog, and I hope that you equally enjoy the things I have to say every week and will choose to join me on my new site: One Fine Day. It’s the same ol’ site you know and love, with an awesome new name, and an even more awesome new look. You can still get my blog posts through email on my One Fine Day blog – all you have to do is put your email address in the designated box on the right side of my page, and you’ll receive an email every time I post something new (just like before). It feels like we’ve been away from each other forever, and in our little blog world, we kind of have. It’s been more than a month since I last posted on here, but as you will soon see, I’ve been busy. Before you go getting all confused on me, let me give a little explanation. Last week, I celebrated my second full year as a blogger (man, time sure does fly). I’m big on celebrating milestones, and this was a big one in my book, so I wanted to acknowledge it somehow, but how exactly? As my blogiversary date approached, I spent hour after hour thinking about what I would do to celebrate. I loved last year’s blogiversary tribute, but a reflection post just didn’t seem fitting for this year. I needed something more, something that accurately reflected the change I’ve been feeling in this blog and in myself as a blogger. Then it hit me – I needed a refresh. For The Love Of was great, but I had visions of grandeur for this blog, and the old name and design just weren’t going to get me to where I wanted to be. I wanted a name that could be fitting for even the most ordinary experience, because really, we all know that something doesn’t have to be extraordinary to inspire or bring happiness. I wanted a tagline that accurately reflected that sentiment, and did so in an elegant way. And I wanted a new style and color scheme that aptly suited me bold and fun, yet laid-back personality. All in all, I wanted this blog to be a little more me. With that, please let me introduce you to my new and improved blog – One Fine Day. From here on out, I’ll be posting over on that site, so if you have this URL saved in your favorites, be sure to change it to onefinedayblog.com. I wouldn’t want you to miss anything! With the fabulous new look will come a few editorial adjustments as well. For starters, I’ll be posting on a more regular schedule (I can’t keep leaving y’all guessing on when you might see a post) – expect two posts a week for the rest of 2013, but I have a few ideas up my sleeve that might increase that number come New Years. I’m also planning to expand my writing and photography abilities so that this blog can hold its own with the best of ’em (just bear with me on this one because achieving that level of awesome may take some time). So while things may look and feel a little different around here, this is still the same ol’ blog that you’ve come to know and love. I promise. But seriously – because it’s still the same ol’ me (albeit a more determined and more inspired me). 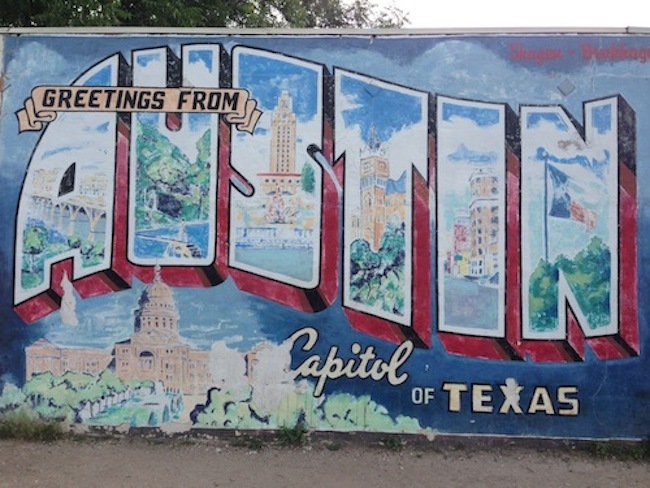 While I can’t claim any modicum of art knowledge, one of my favorite things about Austin is the city’s ability to embrace an art culture, even in its most pedestrian form – graffiti. All around town, you can find beautifully painted (or sprayed) murals, pictures, and figures – some legally commissioned, some done in the dead of night, all done well. 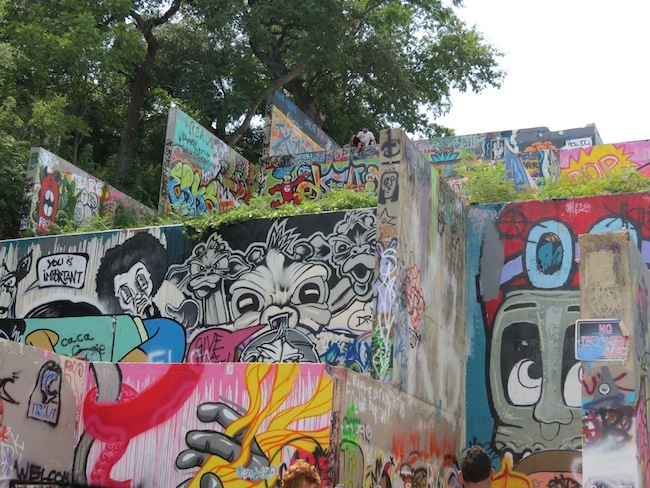 Sure, Austin has its fair share of traditional graffiti tagging (ie stupid words or gang symbols), but we also have something so much better – and it’s made it possible to find beauty even in the midst of a concrete jungle. 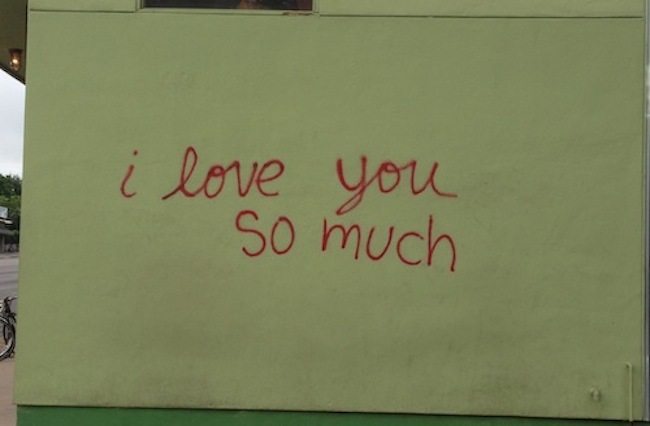 …Or the “I Love You So Much” that’s haphazardly sprayed onto the side of Joe’s Coffee on South Congress. But those signs, although well known, are only scratching the surface on what you can find painted and sprayed around town. 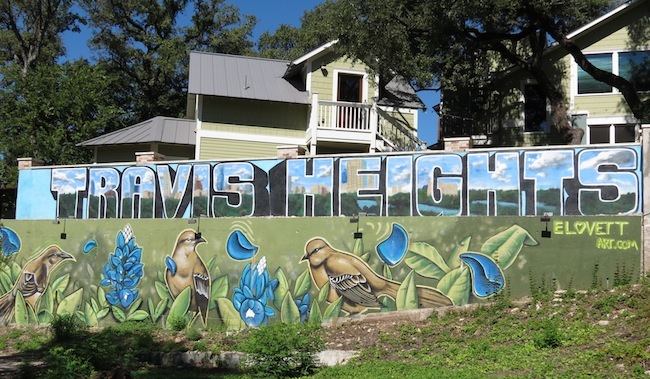 I can’t even begin to count the amount of times I’ve been driving around only to find a graffiti mural announcing what neighborhood I’ve entered, or illustrating the name of a local coffee shop. If you’re not paying attention while driving down Riverside, you might miss this neighborhood sign, but I love it! 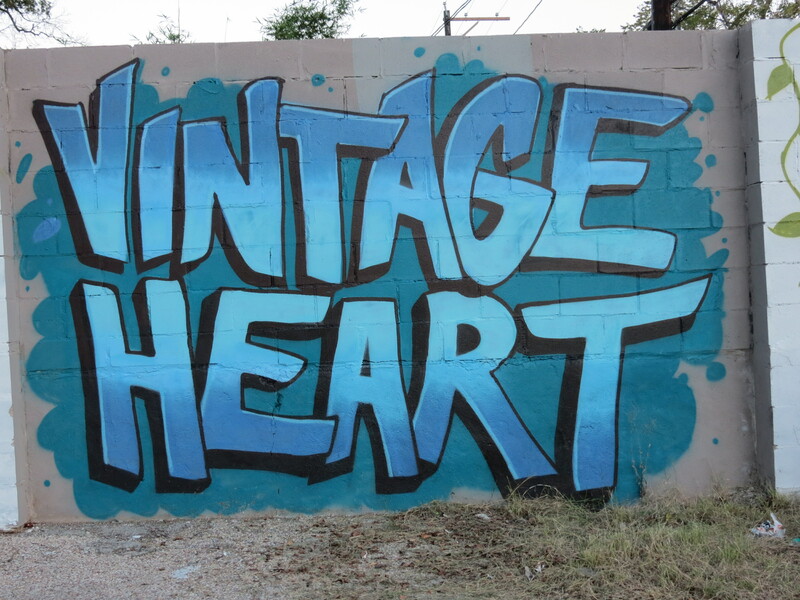 I found this on a back wall of one of my favorite local coffee shops, Vintage Heart. It started raining during our visit. A view of one side of the park. 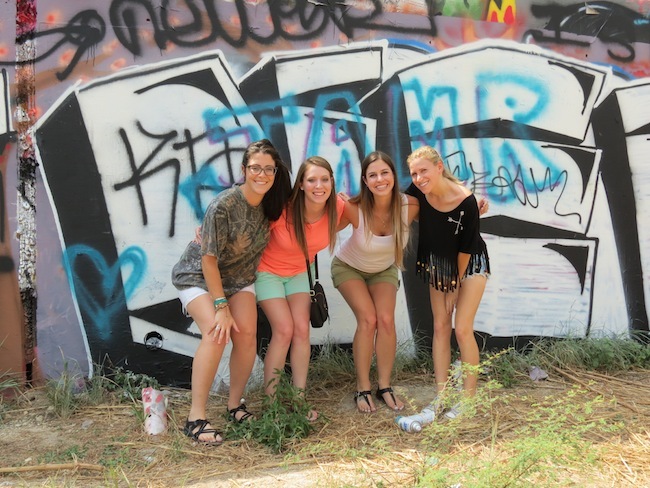 What other graffiti art have you found around Austin that’s worth sharing? I’m sure there’s a ton that I don’t even know about!